Are you ready for a PINK-TASTIC time? Are you ready for a PINK-TASTIC time? 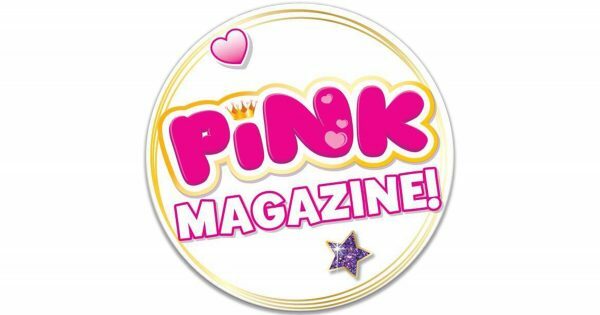 Pink is a jam-packed 36-page magazine that features popular characters and brands most loved by primary aged girls. Turn the distinctive bright pink cover to enter a captivating world of activities, including super stories, colourful crafts, cool comps, puzzles, posters and more! Featuring all the hottest brands such as L.O.L. Surprise! Num Noms, Pikmi Pops, Enchantimals, Hello Kitty, Poopsie Slime Surprise! Nella the Princess Knight, Shimmer & Shine, Barbie and so many more. The hardest decision readers will face is deciding which page to complete first! As if that wasn’t enough, readers can enjoy a fab selection of gifts and interactive stickers with EVERY issue. 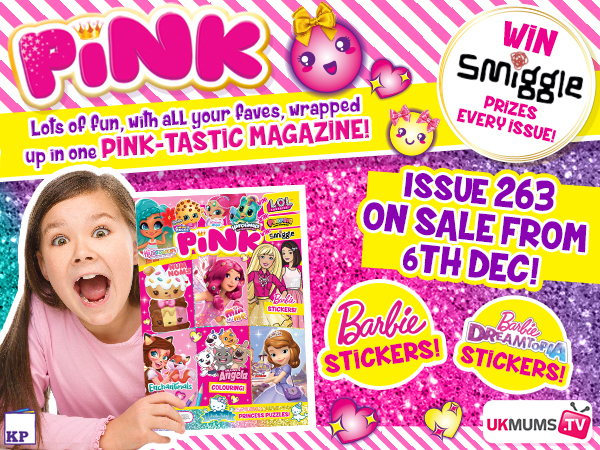 You can find Pink issue 263 on sale from 6th December. This issue comes with an adorable 2019 calendar, a five-piece stationery set, Mia and Me bracelet, Barbie Christmas sticker craft, plus the chance to win L.O.L. Surprise!, Poopsie Slime Surprise! and Smiggle goodies! Pink is published by Kennedy Publishing and is available at Tesco, Asda, Sainsbury’s, WHSmith, Morrisons and all good independent retailers (selected stores only). Don’t forget to follow Pink Magazine on Facebook for more fun and chances to WIN!